Coral Calcium Watchdog provides independent test results, coral calcium reviews, ratings and comparisons. Here are some coral calcium reviews of the more popular brands. 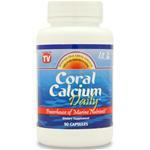 We welcome coral calcium manufacturers to submit their product info, and we will include it in our reviews. We also encourage consumers to submit their personal coral calcium product reviews.